Getting fit is one agenda that seems to be on everyone’s mind at this point. We are quickly being dubbed the ‘cross-fit’ generation, that is how health conscious the world is rapidly becoming. Amidst the ultra-marathons and triathlons are a bunch of races that happen around the world simply for the sake of amusement. There is no fitness angle explored in these races, except that you might end up losing some weight accidentally. 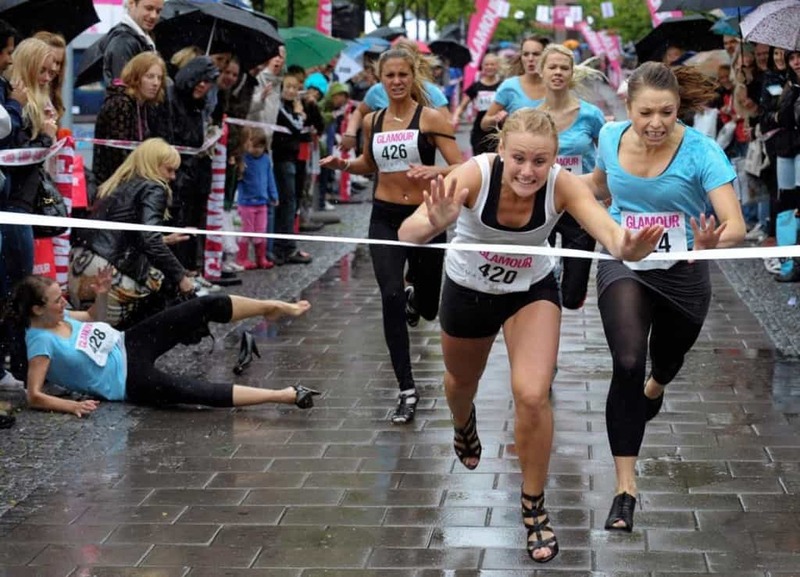 Here is a list of 10 of the most amusing and weird races from around the world. This might seem like a dangerous idea if its wasn’t for the hilarious scene from the new Jurassic Park movie. The annual event conducted by ‘Glamour’ magazine asks women to wear high-heel shoes that are at least 3.5 inches big and run a 50 meter dash in order to win a 3,000 dollar gift card. This event is appropriately named ‘Run For Your Lives’. 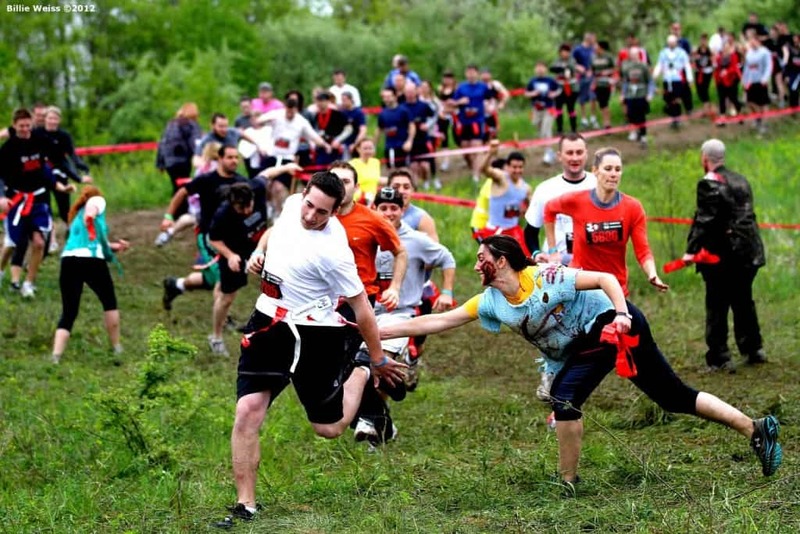 It is a 5 kilometer obstacle course where participants have a bunch of red flags tied around their waist, and a group of people dressed as zombies will attempt to steal the flag from you. Being quick, smart and agile are absolutely vital in order to finish this race. This has got to be one of the shortest and most extreme races in the world. It is called the Planica 400 and it is an event sponsored by Red Bull. 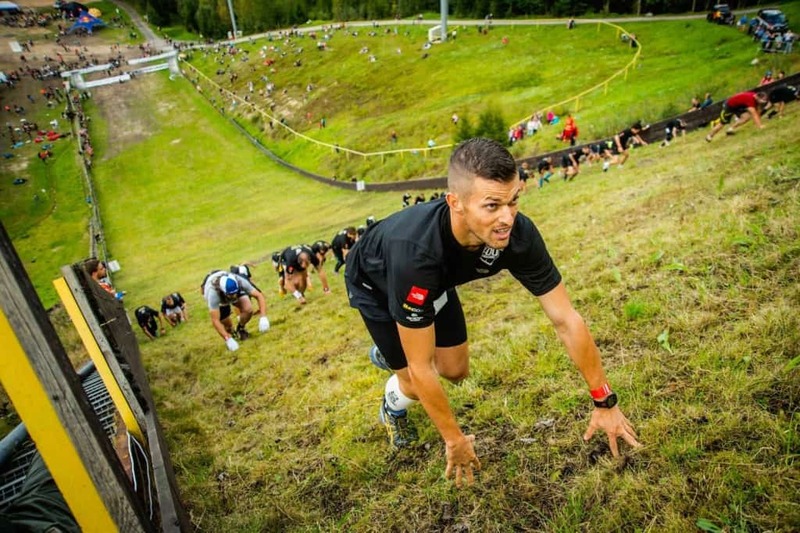 Participants are expected to run, crawl, climb or drag themselves across a near 400 meter vertical in order to finish this race. This event is called the ‘Dougman Challenge’ and involves a team of four participating in a relay. The race includes a lap in a pool, a 10 mile bike ride and a 1.75 mile run. The only catch here is that participants have to eat a lot of yummy food in order to move on to the next leg of the race. 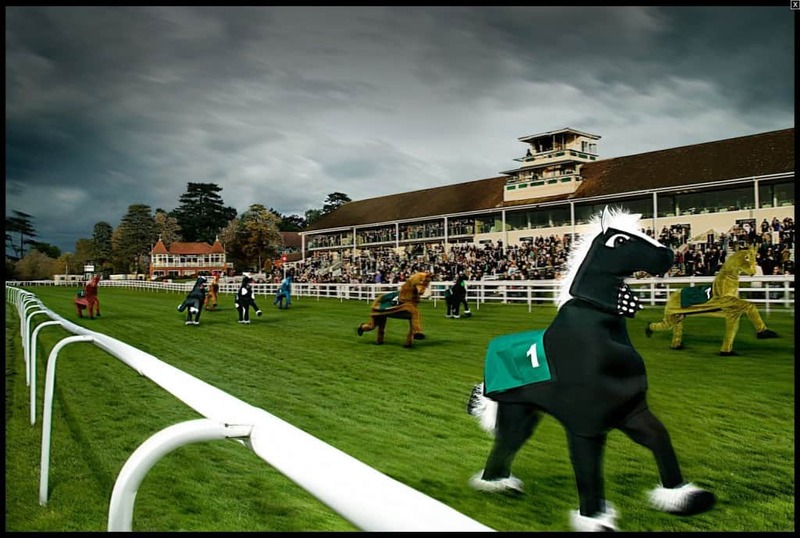 This event is called the ‘Annual Pantomime Horse Grand National Event’. Despite the extremely formal and regal name, this has to be one of Britain’s most bizarre races. Contestants pay a 50 pound fee ($77) in order to participate in the race and the winner gets a bottle of champagne. The whole point of this race is to parody actual horse racing and not much else. 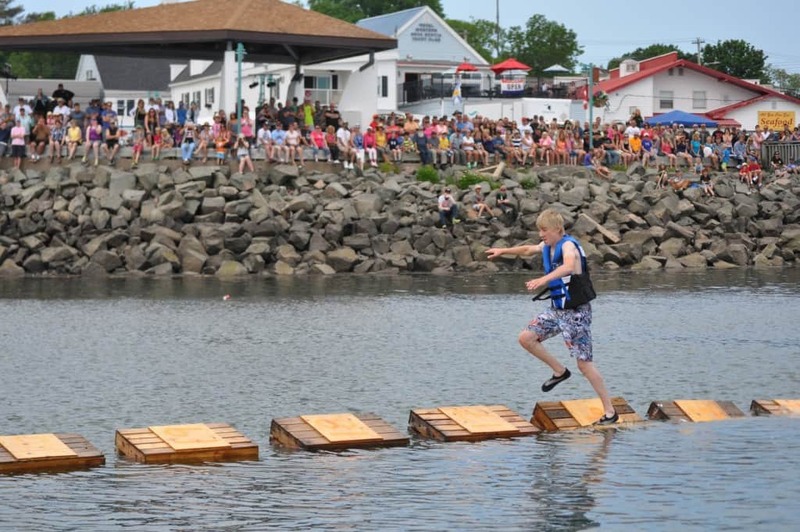 This race is conducted during the Maine Lobster Festival. Hundreds of lobster crates are spread across the water body at Harbor Park, and the goal is to walk across as many crates as possible. 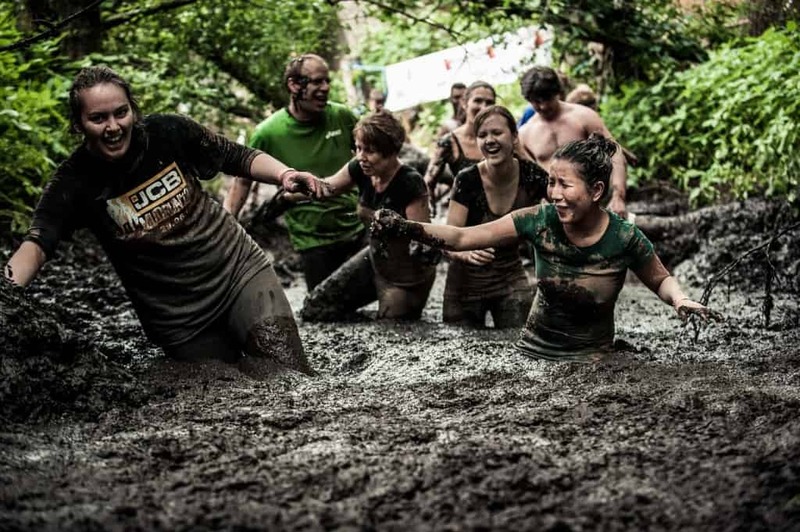 This one is actually a challenging cross-country race where participants hurl themselves through trenches of mud. The track is either a 6 or 12 kilometer stretch that spans across forests and grasslands. This unusual 150-meter dash happens in Belgrade, Serbia, where women are asked to dress up in wedding gowns and running shoes in order to participate in the race. The winner and two runner-ups receive a lot of gifts along with the bridal dress they wore to the race. The Oktoberfest is one of those events that are plenty of fun for everyone. 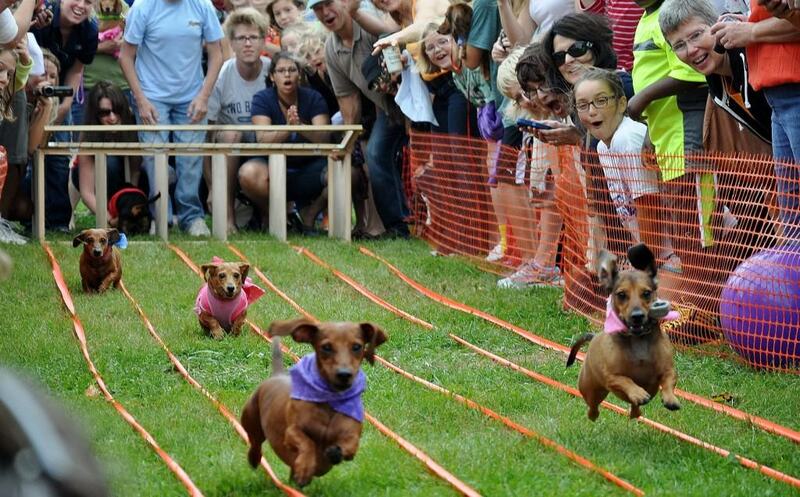 In order to make the fest more indulgent to the few people who do not consumer beer, the Cincinnati edition decided to add a Wiener dog race to the festivities. This is an annual fundraiser event that started out with just five guys running down the streets of Boston in their speedos and Santa hats in an attempt to spread some Christmas joy. Now more than 700 people participate in the event that has managed to raise over 1.4 million dollars for local children.